Camp Somers – Ready, Set, GO! Last night, I drove out to Mt. 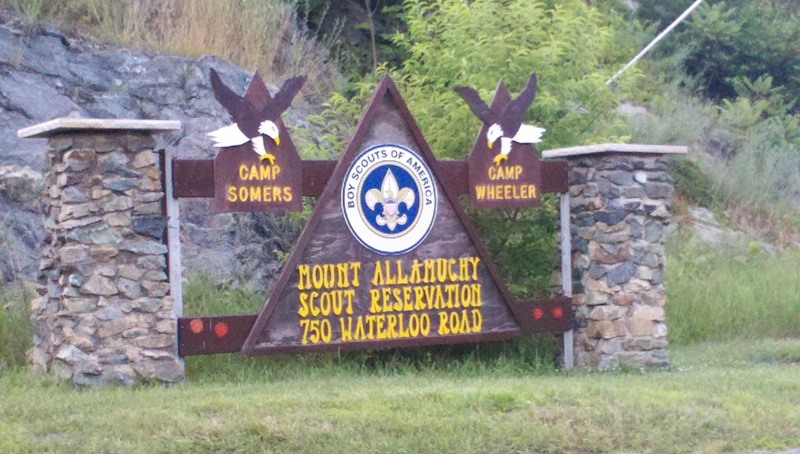 Allamuchy Scout Reservation to complete a pre-camp check in process that will help save time on Sunday. The health officers find it productive (and I agree) to look through the medical histories without all the hustle and bustle of getting gear moved to campsites and so on. It’s important to do our best to be ready for any likely medical situations ranging from injuries to illnesses or allergies. This process enables the team at camp to prepare and highlight potential issues ahead of time. No camp staff could possibly be ready for ALL eventualities (i.e. volcanoe eruptions, jumbo jets landing in the pond, etc. ), but I was impressed at how serious and knowledgable these staff members were for the types of issues likely to be encountered. I’m confident that we’ll have a great week at camp (as we usually do). Reminders to Parents — please have your scouts pack their meds (if any) in a heavy duty zip lock bag with their name CLEARLY printed on the front (use a “sharpie permanent marker”, etc.) These will be turned into the med staff and held at the med lodge (across from the dining hall). Scouts (and adults) will report to the lodge as needed (morning and dinner time, etc.) to take their meds whether vitamins, allergy pills, etc. ALSO, please have your scout pack their toiletries (i.e. deodorant, toothpaste, soaps, shampoos) in a heavy duty zip lock bag with their name CLEARLY printed on it. We will be camping in BEAR COUNTRY — and as such we will be using a BEAR BAG to tie up these “smelly” products so that bears will leave us alone and look for food somewhere else (Black Bears are dumb enough to think that deodorant is food because it smells good). This is a standard precaution that we take each year at camp, but I just wanted to remind you to pack these things for easy access/retrieval. In my nine summers at summer camp (from 1971 to 2011), I’ve only ever seen a bear once (during camping season) and it was heading away from the reservation down by the entrance gate. Remember that typically, 85% of a black bear’s diet is from vegitation and the remainder is from insects, honey, larvae, and here in NJ, garbage that is not properly secured at people’s homes in rural areas. I’m not worried or anxious about this, but we get good results when we practice smart camping. We’ll run through this topic as well as many other camp safety issues (buddy system, etc.) on the first evening of camp. These rules are common to all scout units and will be enforced by all scoutmasters and camp staff. This entry was posted in Outing/Camping and tagged Allamuchy Scout Reservation, Camp Somers, MASR, Patriot's Path Council, Scouting, summer camp. Bookmark the permalink.